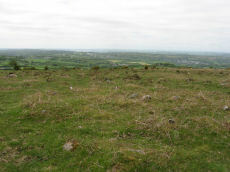 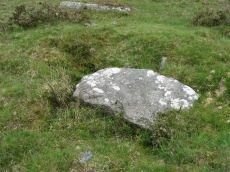 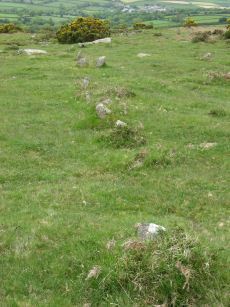 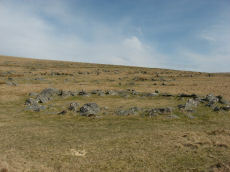 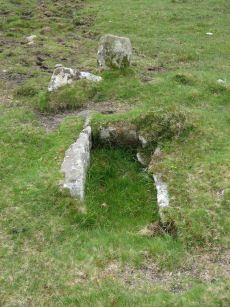 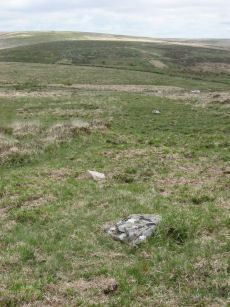 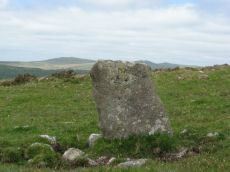 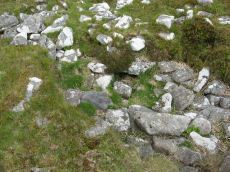 Notes: "Hut circles 550m s of foggintor quarries. 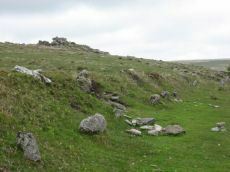 A very fine settlement, set within a well built and substantial enclosure wall, enclosing an area of some 1.0ha. 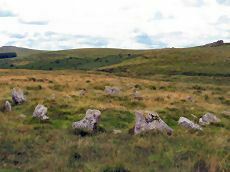 Five hut circles occur within the enclosure varying between 6-10m in diam ... Outside the enclosure to the w are five further huts of similar dimensions - again one of these shows sign of alteration. 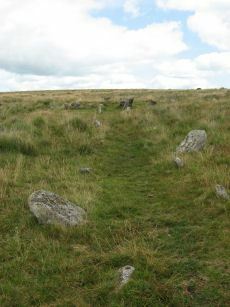 Under moorland grass." 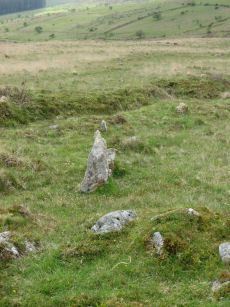 The site was excavated in 1897 by Burnard and Baring-Gould.